Johnson & Johnson (NYSE:JNJ) stock has fallen 8.2% year-to-date. Johnson & Johnson recently reported its first-quarter results, beating on earnings and revenue. JNJ also boosted R&D spending 16% year-over-year in the first quarter. This didn’t really thrill investors, and Johnson & Johnson stock still trades below $131.76 a share, its closing price on April 16. Johnson & Johnson is the world’s most valuable healthcare company, with a market capitalization of over $350 billion. Johnson & Johnson sells consumer health products, medical devices and prescription drugs. The company was founded in 1885 and includes famous brands such as Tylenol, Band-Aid and Neutrogena. It holds a relatively diverse portfolio of prescription drugs. How healthy is Johnson & Johnson stock? Could it catch a cold in the years ahead? I think investors should look for risks in three areas. Two of these concern public policy. JNJ stock could be impacted by government action on drug prices and America’s opioid crisis. Another area involves Amazon.com, Inc. (NASDAQ:AMZN). Amazon has disrupted multiple industries and may ramp up its involvement in healthcare. Let’s look at these risks. The Trump administration wants to reduce drug prices, and this could impact drug companies like Johnson & Johnson. Scott Gottlieb, who heads the federal Food and Drug Administration (FDA), also wants to lower drug prices. In a post on the FDA website, Gottlieb outlined his plans for reducing drug prices by increasing competition from generic drugs. Gottlieb wants to expedite the review process for generic drugs — getting them to market faster would reduce prices. Joe Simons, who was recently confirmed by the Senate as FTC chairman, also suggested investigating drug price increases. State governments also want to reduce drug prices, and some want to import drugs from Canada, where prices are lower. Trump is expected to give a speech on drug prices in May. JNJ’s drug prices are already falling. According to a company spokesperson, Johnson & Johnson saw net prices fall 4.6% in 2017. Could drug companies like JNJ could be held legally liable for America’s opioid painkiller epidemic? Some have compared this to the multibillion dollar settlement the federal government reached with tobacco companies in 1998. Some of the lawyers who sued Big Tobacco are now involved in these efforts, which helps the comparison. In January, I mentioned opioid liability risks in an article on pharmaceutical stocks. Since then, the issue has continued to gather attention: Trump mentioned opioid overdoses in his State of the Union speech in January. In March, Trump revealed that the federal government was considering suing Big Pharma for the opioid epidemic. This caused opioid-related pharmaceutical stocks such as Depomed Inc (NASDAQ:DEPO) and Mallinckrodt PLC (NYSE:MNK) to fall. Johnson & Johnson also sells opioids, and JNJ stock fell 2.33% that day. JNJ’s pharmaceutical division, Janssen, sells fentanyl patches under the Duragesic brand. Janssen also marketed Nucynta tablets until 2015, when it sold the business to Depomed. According to Evaluate, a market research firm specializing in pharma and biotech, Duragesic’s sales in 2016 totaled $288 million, down from $334 million in 2015. However, I don’t think the opioid liability risk poses a big threat to JNJ stock. There are some major differences between tobacco and painkillers. First, opioids sold by pharmaceutical companies are tested and approved by the FDA. Second, drug companies generally don’t sell painkillers directly to users; they sell to physicians, distributors and pharmacies. Third, many opioid-related deaths occur when the drugs are misused or sold illegally. Finally, lawyers against Big Tobacco sought to bankrupt the entire tobacco industry — this isn’t really the case with the pharmaceutical industry. Amazon has disrupted multiple industries, and healthcare might be next. At the J.P. Morgan Healthcare Conference in January, Johnson & Johnson CEO Alex Gorsky advised healthcare companies to prepare for competition from Amazon. Indeed, Johnson & Johnson’s consumer health segment, which accounted for 17% of its revenue in the most recent quarter, is already seeing some competition from Amazon. Last August, Amazon partnered with Perrigo Company PLC (NYSE:PRGO) to create the Amazon Basic Care brand of over-the-counter medicines. This includes generic versions of Tylenol, Zyrtec, Pepcid, and Rogaine. The retailer is also selling baby wipes through its Amazon Elements brand, competing with Johnson & Johnson’s baby wipes. Amazon products could force Johnson & Johnson to lower prices or lose market share in OTC drugs. This could negatively impact Johnson & Johnson stock. 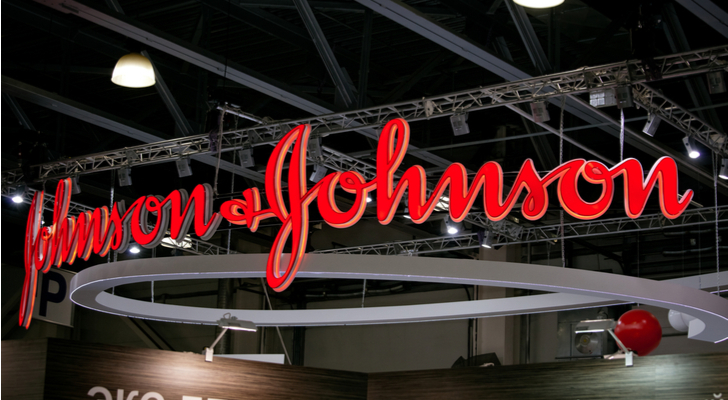 Article printed from InvestorPlace Media, https://investorplace.com/2018/04/johnson-johnson-jnj-stock-3-risks-coming-year/.